In June of 1922 Count Alexander Ilyich Rostov appeared before the Emergency Committee of The People’s Commissariat for Internal Affairs. ...if he ever sets foot outside the Hotel he will be shot. The committee was less than sympathetic to the Count, disapproved of his lifestyle, and would have preferred that he be “taken from this chamber and put against the wall.” Instead, based on a long and influential poem of his that had appeared in 1905, in the wake of the failed revolt, the Count is ordered back to the Metropole Hotel in Moscow, where he has been living since his return from Paris in 1918, and informed that if he ever sets foot outside the Hotel he will be shot. This wonderful novel spans the more than thirty years that Count Rostov spends in the hotel. The world continues to turn outside the confines of the Metropole, and with subtle elegance the march of history is incorporated into the narrative. The Count is sheltered, perhaps, but not immune. I’ll leave to you the delight of discovering how Amor Towles has created such an enjoyable and memorable novel from these beginnings. The Count is a very special character, but his surprisingly large supporting cast is equally splendid, each one an inspired creation, each exquisitely developed. As he did in his first book, The Rules of Civility, Amor Towles has created a novel that celebrates grace and goodwill. Count Rostov is a man of wit, sophistication, and sympathy, qualities generally in short supply in his own time (and sadly, in our own.) His indomitable resilience and amiable adaptability is an example for us all. Rare is the novel that leaves you exhilarated at the end. 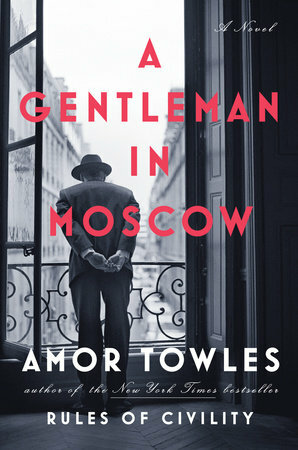 A Gentleman in Moscow is satisfying and uplifting. I cannot recommend it highly enough. 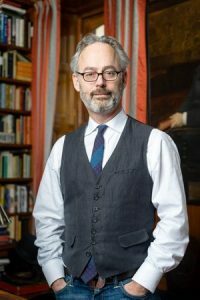 Amor Towles was born and raised just outside Boston, Massachusetts. He graduated from Yale University and received an MA in English from Stanford University, where he was a Scowcroft Fellow. After working more than twenty years as an investment professional, Towles now writes full time. He is also the author of the novella Eve in Hollywood, available as an e-book. He lives in Manhattan with his wife and two children. Ben reads almost anything, for the most part with an eye for the unusual, the overlooked and the underappreciated. He regularly makes presentations of current noteworthy titles to interested parties, both in the store and out.